Download this eBook and learn what topics analysts and thought leaders predict will drive contact centres in the years to come and how to adapt your strategy to the newest customer demands. Technology is at the core of the contact centre, and the key trends of 2016 revolve around the ways that great tech and great customer engagement go hand-in-hand. We consume and share information using multiple modalities — it’s instant, intuitive, and helpful — and it’s growing exponentially. 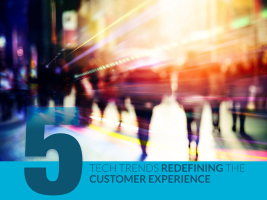 Redefine the customer experience to fit this multimodal mindset.